This product was added to our database on Monday 26 May 2014. A properly shaped set of left and right intakes to correct the somewhat bloated shape of the 1/32 scale HK Meteor intakes.Simple to install,these faithfully capture the grace of the original long-chord intakes and what a difference they make to the look of the model! 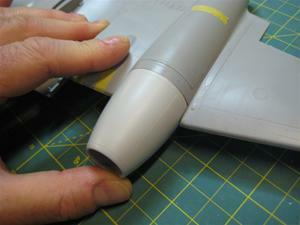 Wing spar covers are already cast in place with no seams, and illustrated instructions are included.